Owners of a well-established business looking for financing usually apply for unsecured loans from banks and lending institutions. Unsecured term loan is one of the most common form of SME loan in Singapore. When a business is in its infant stage with very not much track record, the owners may have some difficulty obtaining an unsecured loan at a competitive rate. In the recent years, lenders have adopted more stringent policies on loan packages in the light of the financial crises that have struck even the strongest of economies. As a relatively new business owner, where could you turn to when you have a pressing need to finance your operational requirements? One approach is to look for institutions offering asset-based loans (ABL). Financial institutions offering ABLs will focus more on the borrower’s collateral rather than on his business’ financial standing or credit history. Acceptable assets include account receivables, inventory, machinery, and real estate properties. However, accounts receivables comprise the bulk of collaterals under ABL deals simply because they are easily convertible to cash. Most SMEs in the start-up phase also do not have hard assets like properties or fixed deposits to pledge to banks for facilities. Usually, lenders set the loan amount at between of 70-90 percent of the value of receivables. Assuming receivables invoices of $100,000 pledged, cash advance will be between $70k-$90K. When the borrower avails of a loan, the lender will collect the receivables from the borrower’s creditors. After deducting all payables, fees, and charges, the bank will release the remaining balance to the borrower. Revolving credit line facilities are normally extended to borrowers who pledge their receivables as security. The lender sets the ceiling for the revolving credit line. The borrower may avail any amount from the credit line for as long as he doesn’t exceed the limit, the credit line hasn’t expired, and that the receivables are maintained at the desired levels. Any amount borrowed and settled under the credit line may be re-availed by the borrower. An ABL is generally faster to process because it is collateral-based. Lenders will focus more on the quality and value of the collateral. They don’t have to spend weeks reviewing the borrower’s financial standing, credit history, and other requisites for evaluating a traditional unsecured business loan. Meanwhile, the borrower has fast access to funds that he can use immediately to finance asset acquisition or operating expenses, among others. If you own a SME business and need external funding to buy a small warehouse or an office space, you can turn to lenders offering loans backed by a mortgage on that property. A mortgage loan is an example of an asset-based loan. Typically, a lender will approve and grant mortgage loans to existing businesses with proven and steady streams of income but will require the owner/borrower to put up at least 20 percent of the purchase price as a down payment for the property. A lender may set this minimum to a higher percentage if the property to be purchased is categorized as a special-use property. A fitness center, car wash, or theme park are typical examples. If you are purchasing special-use property, expect the lender to increase the required down payment to around 30 percent minimum. A typical mortgage loan may be paid up to a term of 20 years (or longer) in regular, equal monthly installments. Most banks will usually offer ‘teaser’ rates for the first 2 years in the range of 1.5%-2.5% p.a. and gradually increase rates from the third year onward to 3-5% p.a. Interest for mortgage loan is usually amortized and calculated on monthly rest principal reducing balance basis. The lender will want to check if the value of your property will provide ample coverage on the amount of loan he is extending to you. A lender wants a safety net – a fallback in case of a risk of nonpayment or default. 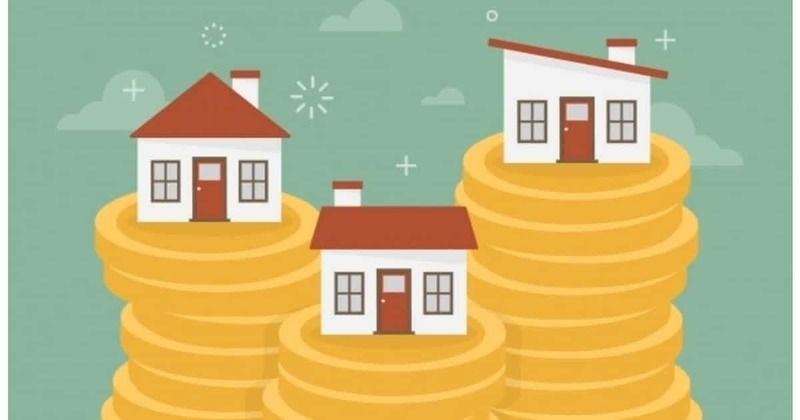 Aside from assessing the borrower’s profile with traditional credit assessment models such as the 5Cs of lending, lenders will also assess the loan-to-value (LTV) ratio of the property. The LTV ratio is calculated by dividing the amount of loan by the appraised value (AV) of the property you have offered as a mortgage. If the purchase price is lower than the AV, the purchase price will be used instead. An acceptable LTV ratio is around 80 percent or lower. For instance, if you are borrowing $800,000 for your commercial property mortgage loan, your property’s AV should at least be $1M to be able to satisfy the lender’s LTV requirement. The lower the LTV, the better your chances of getting that loan. In some cases, the lender may opt to accept a slightly higher LTV ratio but will definitely request for concessions or, make some adjustments like charging a higher interest rate. Lenders help businesses by providing business loan facilities such as asset-backed loans. Whether you are buying capital assets or merely financing an operating expense, an asset-based loan is an effective funding tool that could help propel your business if you know how it operates.